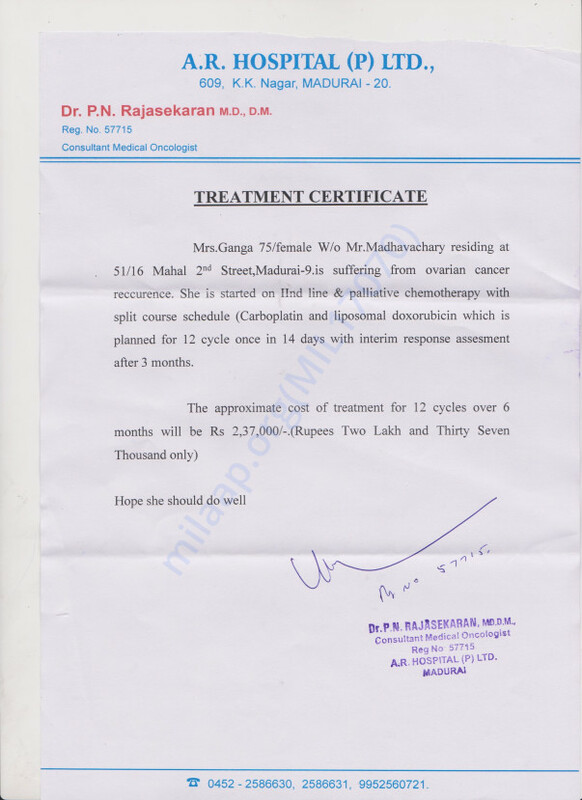 I am B.M.Ganesh, living in madurai, My mother Ganga, 75 years old suffering from ovarian cancer reoccurence. 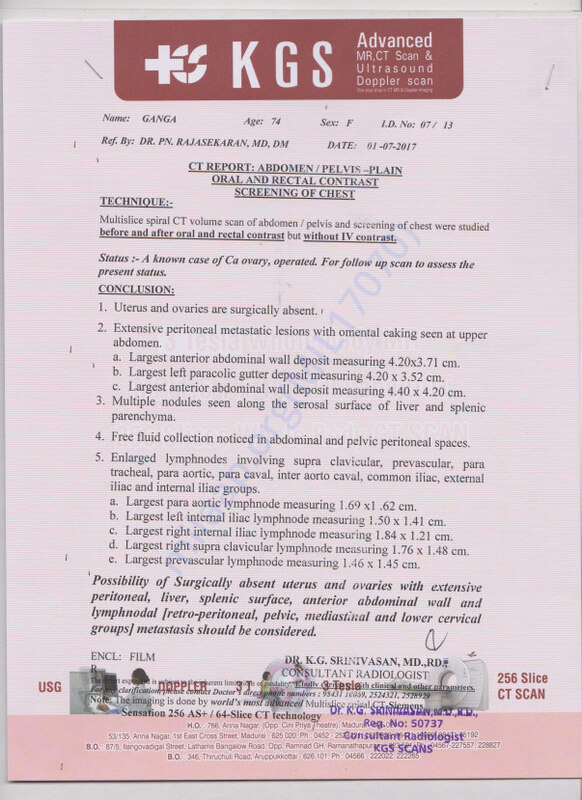 It is required to give cheemo theraphy it is cost around 2,37,000 for 12 cycle. 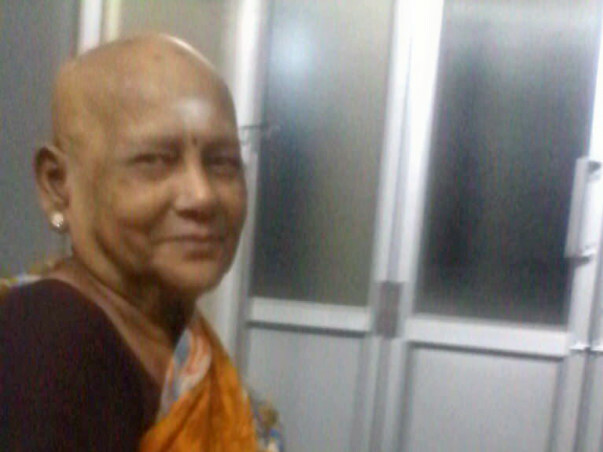 I am not able to this huge amount for treatment without help. Your help will save my mother life from cancer. 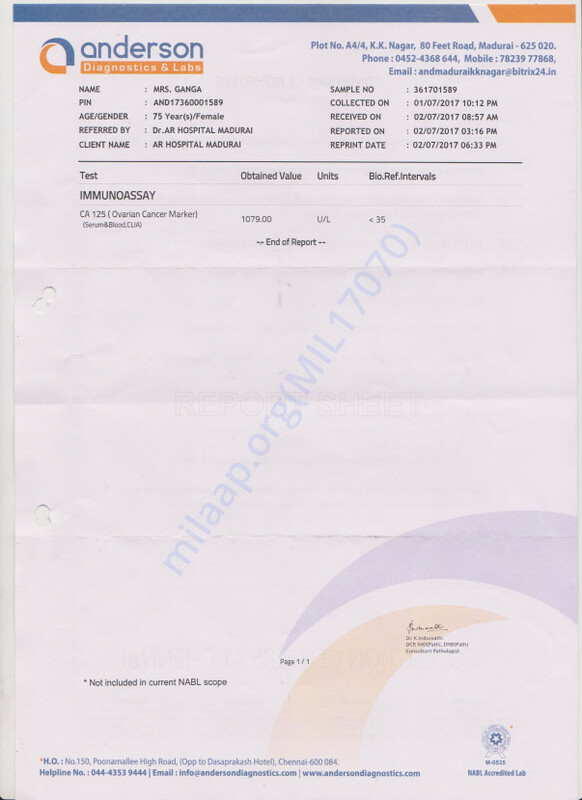 I have uploaded medical expenses estimate and doctor certificate titled "Doctor's Certificate and Medical Expenses Estimate Letter".